We make parking easy and FREE! Easy, Convenient and Affordable Parking! 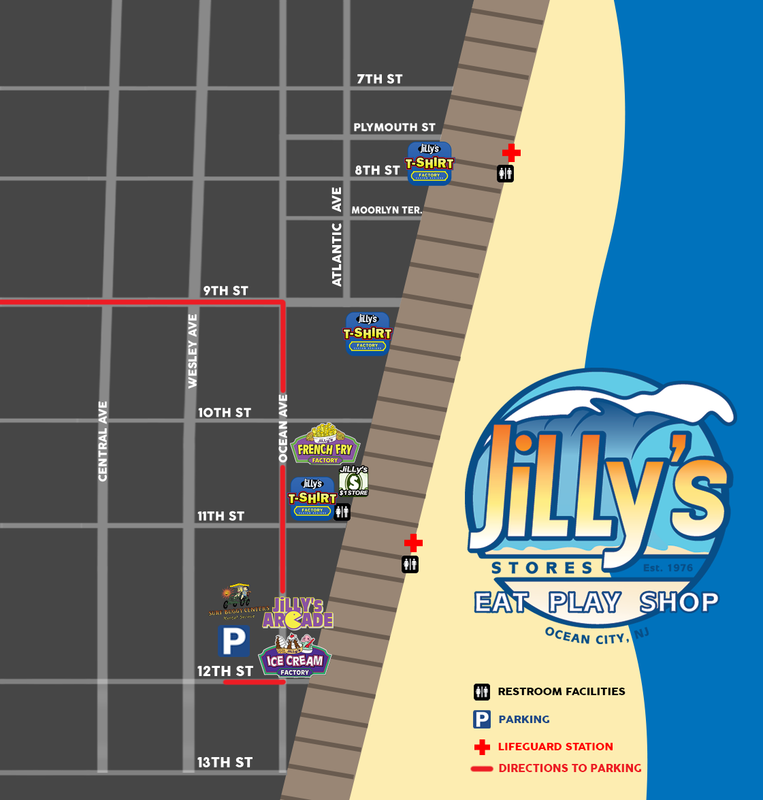 JiLLy’s 12th Street Parking is the most convenient place to park in all of the Ocean City downtown. We offer the most competitive daily parking rates along with the most convenience to the beach and boardwalk. Parking at JiLLy’s is so easy. Simply pull up to 12th street and Boardwalk. You will see our lot on the left at the rear of JiLLy’s Arcade. Once you park, you are just a few steps to the beach and boardwalk. Our superb location also features handicapped access ramps that lead directly to the beach and boardwalk as well as public bathrooms, lifeguard / first aid station and Ocean City Police substation. JiLLy’s 12th Street Parking is also situated just 1 short block from Playland’s Castaway Cove Amusement Park, mini golf attractions and so much more. Why fuss over street parking or far away lots when you can conveniently park at JiLLy’s 12th Street Parking. PRO TIP: Parking is usually free in the off-season (October 1st to May 1st).